Why Only Your Farmacist Sells Marihuana in Canada. – A Nigerian – Canadian Renaissance Woman. Why Only Your Farmacist Sells Marihuana in Canada. …whence it was all up hill in my mind. 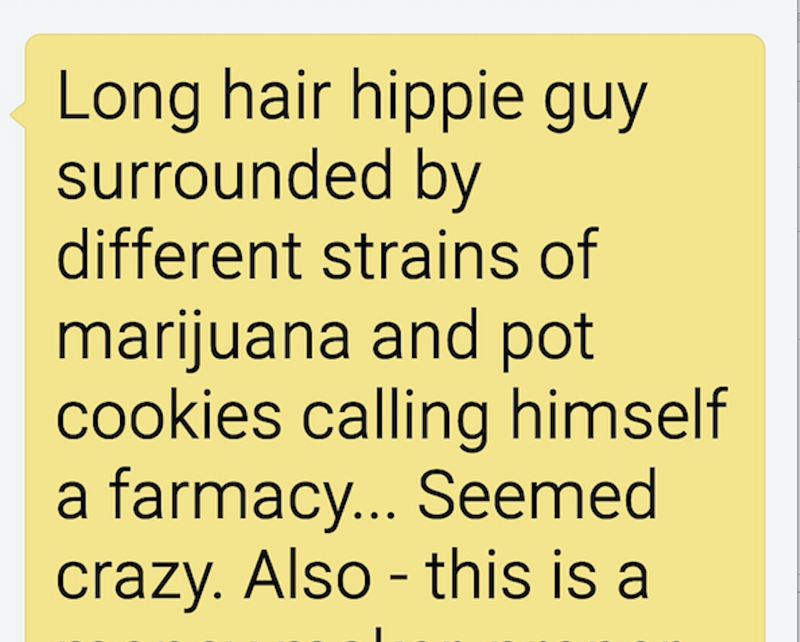 By noon, I had day dreamed myself to the very top of a Medical Marihuana distributing empire. 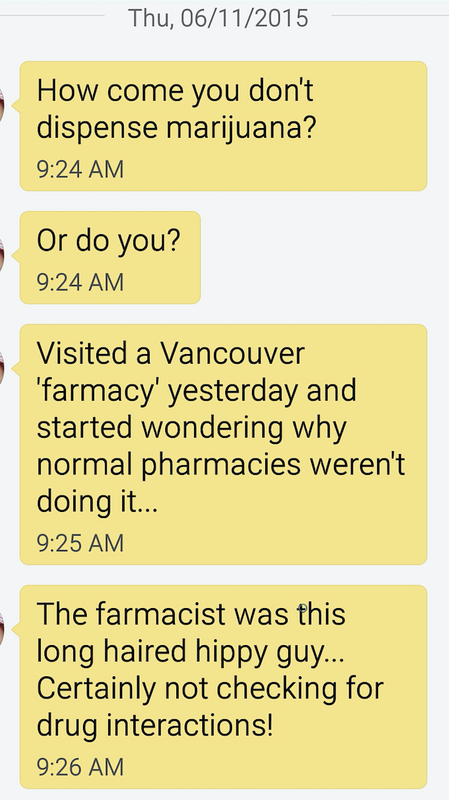 So, as any curious pharmacist would, I called the Alberta College of Pharmacists (ACP); where, after speculations if I was indeed a pharmacist, I was transferred to speak to an expert, who turned out to be my former teacher, and who also proceeded to recognize me as the recently awarded “Preceptor of the Year” recipient! This fact did not make this conversation awkward…at all. From this conversation and after reading several other documents to determine how exactly I could hypothetically dispense Medical Marihuana in Canada, I found out several interesting facts. 2. I am strictly forbidden from possessing, producing, selling, providing, shipping, delivering, transporting and destroying marihuana. 3. As a licensed pharmacist and the proprietor of my pharmacy; I can not at the same time obtain a license from Health Canada to become a Licensed Producer or responsible person in charge of medical marihuana supply. 4. 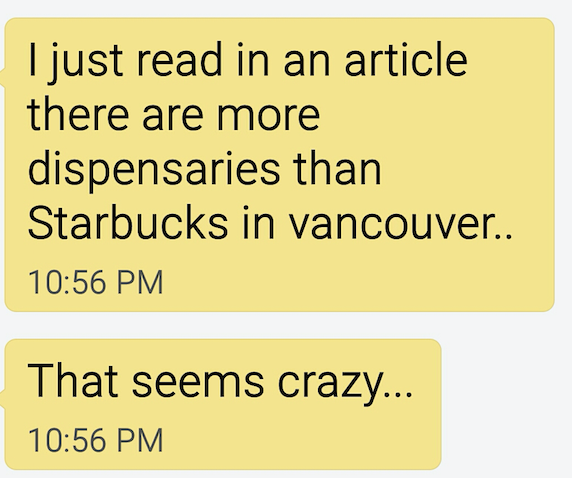 There is an explosion of medical marihuana shops in Vancouver City. 5. Dried marihuana is not an approved drug or medicine in Canada. These facts were very confusing to me, because the Courts compelled a requirement to provide reasonable access to a legal source of marihuana when authorized by a physician for medical purposes. Despite medical use, it is not considered a medicine. It seems to me that a product intended for medical use should be subject to the same medication management that any product intended for medical purposes are subject to through pharmacist interventions. However, in this special case, we have a legal product ordered by a physician or nurse practitioner (the only two authorized healthcare professionals in Canada, Nurse practitioners are excluded in Alberta) and dispensed to patients by licensed producers (with no requirements for medical or pharmaceutical background/ training), physicians, nurse practitioners or from Hospitals. In Alberta, physicians are definitely not authorized to dispense or become licensed producers of Marihuana. According to the Alberta College of Pharmacists’ Policy statement … “A licensed producer may only provide dried marihuana to a patient; it cannot be compounded or incorporated in any other vehicle or formulation.” Yet several of these “licensed producers” distribute in several different “formulations” (using that word very loosely). The closest medication I can think of that is manufactured in edible form is Actiq (Fentanyl in lollipops) a Schedule I Narcotic medication (in lay terms: You Must Be Very Ill to Get This Medication), which I’ve only heard of in pharmacy fairytales, but never dispensed, as it is not to my knowledge, available in Canada. In pharmacy land, one is very worried about poisoning children when one includes medical ingredients in delicious edible forms … so, naturally I was very curious about how these “lisensed farmacists” were getting away with this edible business. Turns out, it started from the shady sides of the previous law. Dispensaries and compassion clubs, which developed under a grey area of the previous federal legislation, are not legal under the current legislation. A few days ago, in a historic move, council in Vancouver city voted to regulate about 100 “dispensaries“, charging retail dealers a whopping $30,000 license fee and compassion clubs a more gracious $1000 license fee while restricting available space for these shops through this new bylaw. The bylaw does not allow the sale of edible products like pot brownies, with the exception of edible oils, which would include tinctures and capsules. The Supreme Court of Canada says medical marihuana must not be sold or provided with any additive, “additive” means anything other than dried marihuana but does not include any residue of a pest control product or its components. 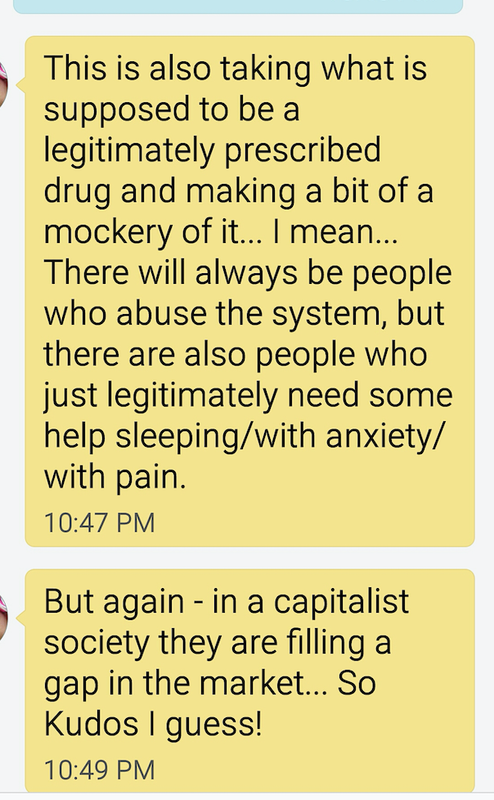 So, we really do have a case in which a legally prescribed treatment is being supplied illegally (as edibles) to patients. What is a Drug Product? – Drug products include prescription and non-prescription pharmaceuticals, disinfectants and sanitizers with disinfectant claims. – When a product is offered for sale in Canada to treat or prevent diseases or symptoms, it is regulated as a drug under the Food and Drugs Act. – Prior to being given market authorization, a manufacturer must present substantive scientific evidence of a product’s safety, efficacy and quality as required by the Food and Drugs Act and Regulations. In the case of Marihuana, it is prescribed, offered to treat diseases/ symptoms with limited or inconclusive efficacy evidence and has no market authorization under the Food & Drug Act…My (former) teacher also pointed out, when I called the ACP, that the quantity of the active ingredient is also very variable per unit dose. For these reasons, on the basis of limited efficacy data and variable content in unit doses, Health Canada has not in fact reviewed safety & efficacy data, and as a result, can not consider it a Drug Product. Because it isn’t a drug product, pharmacists can not dispense it. You know what this sounds a lot like though? Why has Health Canada reviewed and so provided market authorization for nutritional supplements, when there is limited to no evidence for their efficacy and many of these products have highly variable contents some containing <20% or sometimes none of the stated doses on the package? Despite the Canadian Medical Association’s concerns about safety of Marihuana treatment, it is yet to be reviewed for market authorization. Step 1: Physician or Nurse practitioner (Depending on Province) assesses the patient and determines there is a medically compelling need for the non-drug product A.K.A Marihuana. In Alberta, Physicians must register with the College as an authorizer of marihuana for medical purposes. Step 2: Prescriber provides patient with a medical document (which looks a lot like a prescription in the detailed requirements for: patient specific information, marihuana dose, instruction for use and physician specific information). Step 3 Patient presents document to a Farmacist (Licensed Producer) in any province across Canada. Step 4: Farmacist registers the patient and sets her/ his price for the non-drug product. Step 5: Farmacist ships non-drug product to patient with the label which includes the patient’s information and is thus proof of legal possession of the non-drug product. Asides from Marihuana’s obviously illicit status, there are other factors which ought to be considered in its current medical distribution. Potential risks of marihuana include: psychotic symptoms (dose dependent, age dependent, genetically influenced), impaired lung function, impaired cognition & potential interactions with psychoactive drugs, infertility, neurodevelopmental disorders following exposure of a fetus, impaired driving, impact on insurance and benefits coverage, unauthorized diversion. Adverse Health Reactions: include dry mouth, red eye, reduction in blood pressure, increased or irregular heart rate, paranoia, hallucinations, derealization, increased anxiety, altered depth perception/ coordination, increased risks of lung disease & cancer, brain changes, lowers IQ (Irreversibly in those who initiate before 18 years old), reduces testosterone and the hormones that regulate ovulation, increased risks of addiction/ diversion. I am as a result inclined to believe the current controversies and hypersensitivity to Marihuana use may actually be a result of the dread factor which it poses. Risk = Hazard + Outrage. How do these Farmacists get their licenses anyway? 1. Must not be a regulated professional engaging in the practice of Pharmacy (may be unique to Alberta). 2. Notify a senior official of the local police, local fire authority and local government of the proposed activities to be conducted with cannabis and the address of the site(s) and of each building within the site(s). 3. Demonstrate compliance with regulatory requirements such as quality control standards, record-keeping, and security measures to protect against diversion, obtain necessary personal security clearances, and meet physical security requirements for cultivation and storage areas. 4. Send in an application to Health Canada. 5. An inspector may at a time during normal business hours and with the reasonable assistance of the applicant, inspect the site in respect of which the application was made. The application otherwise satisfies the conditions for obtaining a licence outlined in the MMPR. 6. Within 30 days after the issuance, a licensed producer must provide a written notice to local authorities and licensing authorities (like the College of Physicians & Surgeons in Alberta) and provide a copy of the notice to the Minister. The Role of a Pharmacist? We usually manage adverse effects, prevent interactions, counsel on administration techniques, provide harm reduction advice (in this case, we would promote vaporizer use, counsel not to mix with tobacco, counsel against breath holding, caution about edibles, counsel on dose titration, counsel about driving safely while on marihuana, caution alcohol/opioid/ other drugs/ interacting conditions), check appropriateness (be the final check to prevent use with contraindications like in pregnancy, cardiovascular disease, because we tend to know all the different specialists involved in a patient’s care when each don’t necessarily speak with each other), check safety and efficacy of various treatments…. A licensed producer who sells or provides dried marihuana must provide the Minister with a case report for each serious adverse reaction to the dried marihuana, within 15 days after the day on which the producer becomes aware of the reaction. A licensed producer who sells or provides dried marihuana must annually prepare and maintain a summary report that contains a concise and critical analysis of all adverse reactions to the dried marihuana that have occurred during the previous 12 months. So, these farmacists without minimum stated professional training (not to mention lack of any standards of practice) will critically analyze adverse reactions? How do they determine what to watch for? On the basis of which medical training do they establish causality? And despite obvious conflicts of interests, without any professional code of ethics, they’d set their own prices for each treatment yet refuse to fill when needed? How legal are the current sources of the product being distributed to patients? The Pharmacist’s role is reduced to supporting patients by providing accurate information about the new regulatory changes, making them aware that they can contact their licensed producer for more information on processes and quality of their product, ensuring that patients report their adverse effects to their farmacists and perhaps counselling when appropriate during the comprehensive annual care plan process. PS: I did not randomly misspell Marijuana 43 times; I have spelt it as such to align with Health Canada’s spelling in the new regulations. Medical Marihuana: What do you need to know before signing a medical document? Responding to Community Outrage: Strategies for Effective Risk Communication by Peter M.Sandman, Ph.D.
Medical Marijuana – Flame-On! by Launette Reib MD, MSc, CCFP, FCFP, dip ABAM from the 26th Annual Best Science Medicine Course 2015. Posted on July 6, 2015 October 5, 2015 by MorenikePosted in HealthTagged ACP, advocacy, Alberta, cannabis, CMA, CMPA, controlled, drugs, health canada, marihuana, marijuana, medical, narcotic, opinion, pharmacists, public health, substances, vancouver, vancouver city. Previous Previous post: May Your Road be Rough! LMBO @ the texts. I wonder how this works in the US. Doctor prescribes marijuana. Patient hits up Tito on the street corner to get it filled. Lol! Hahahaha. It just seems such a spectacularly obvious bad set up.